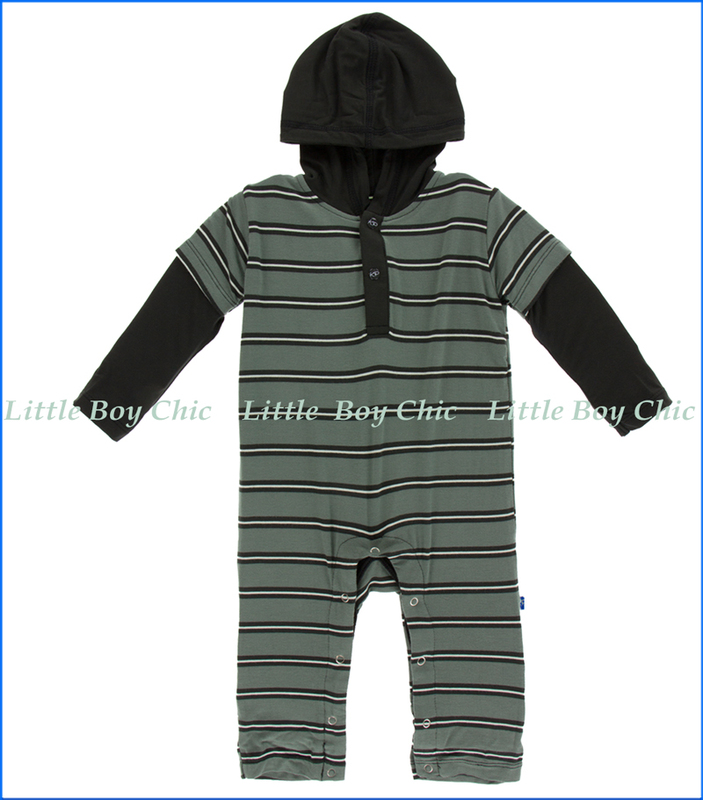 Our tried and true bamboo Rompers by Kickee are here as a Hoodie in this lovely contrast striped print! Made with breathable, super soft and ecofriendly fabric that feels cooler in hot weather and warmer in cold. Soft and delicate hand feel that is specific to bamboo fabric. A tad of stretch for added comfort. Printed label with no tag to irritate.